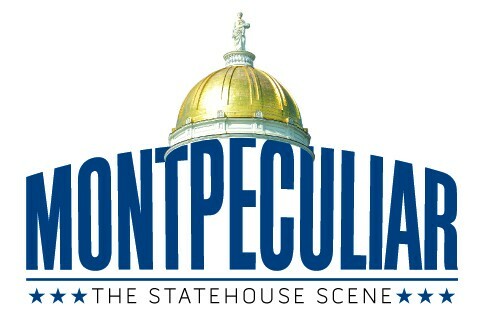 Two camera-laden tourists walked through the Vermont Statehouse’s Cedar Creek Room Thursday. “They’re just hanging out, schmoozing!” the man said to his female companion. “They’re not working,” she agreed. But as of 6 p.m., nothing had been made public. That left most of the 150 House members and 30 senators, not to mention legions of lobbyists, with nothing to do and little sense of how long they’d be there. Meanwhile, a dozen or so reporters dutifully documented the stasis, which has stretched on nearly two weeks after the legislature was supposed to adjourn. While there was little actual lawmaking taking place, some legislators and lobbyists embraced the imposed period of leisure. Rep. Valerie Stuart (D-Brattleboro) temporarily converted the downstairs women’s bathroom into a lilac-pruning shop. She cut purple ones from her garden Wednesday, and she’d harvested white ones from Rep. Jean O’Sullivan’s (D-Burlington) house, where she’d crashed the night before. 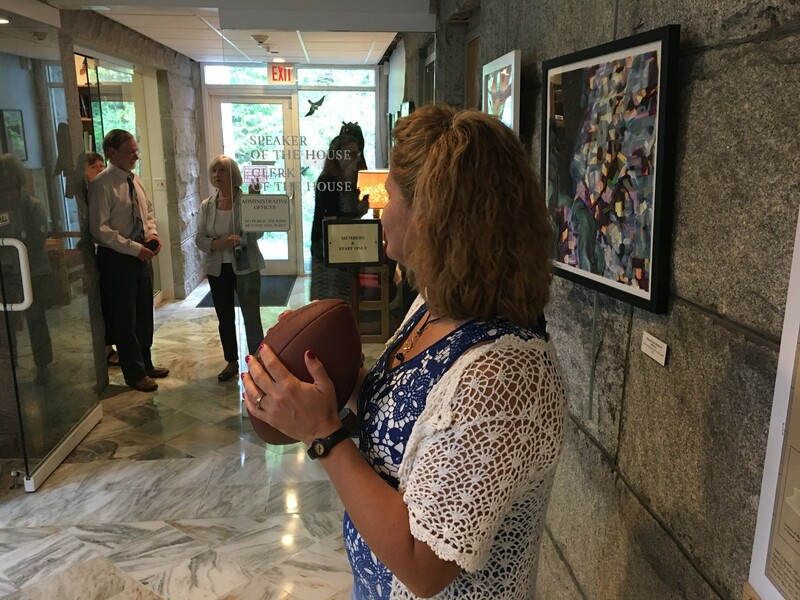 Rep. Sarah Copeland Hanzas (D-Bradford) brought her football to work, and at midafternoon, she convinced lobbyist Todd Bailey to take off his jacket, roll up his shirtsleeves and throw some passes with her on the granite steps of the Statehouse. Rep. Jay Hooper (D-Brookfield) later joined in. “I’ve forgotten how boring this time of year is,” Copeland Hanzas later confided to two reporters. 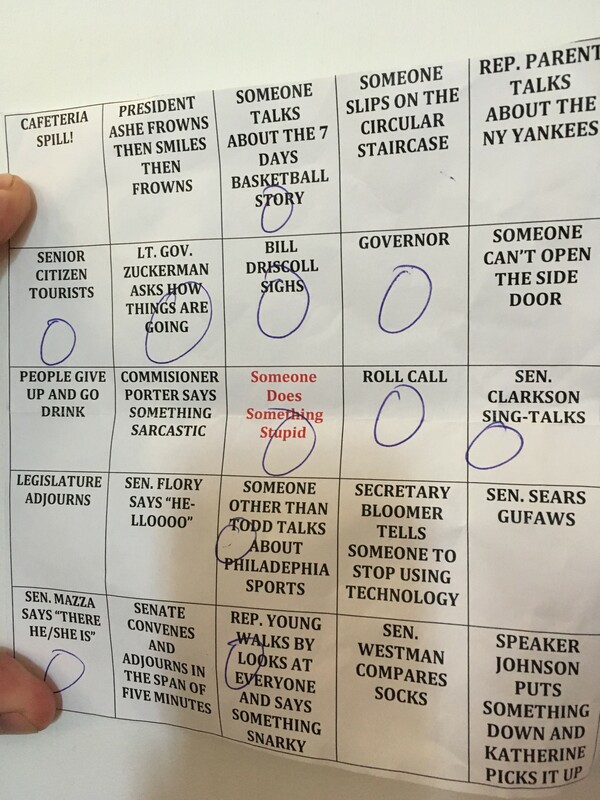 Legislative bingo, designed by Leonine Public Affairs. Associated Industries of Vermont lobbyist Bill Driscoll let out an audible sigh as he came down the stairs. Bailey crossed off his final square — “Bill Driscoll sighs” — edging out Zwicky for the win. Elsewhere in the building, Senate Appropriations chair Jane Kitchel (D-Caledonia) theatrically pulled herself up a winding staircase on her way into the Senate chamber. “You look honestly disheveled,” Vermont Early Childhood Alliance lobbyist Matt Levin told her. Lt. Gov. David Zuckerman stood nearby. He was texting Ashe to find out where the pro tem was and what the Senate should do in the meantime. “You’d think I would know what was happening,” he said.